These hand-coloured plates of the 1770-90s are not only fascinating by their longlasting colours. 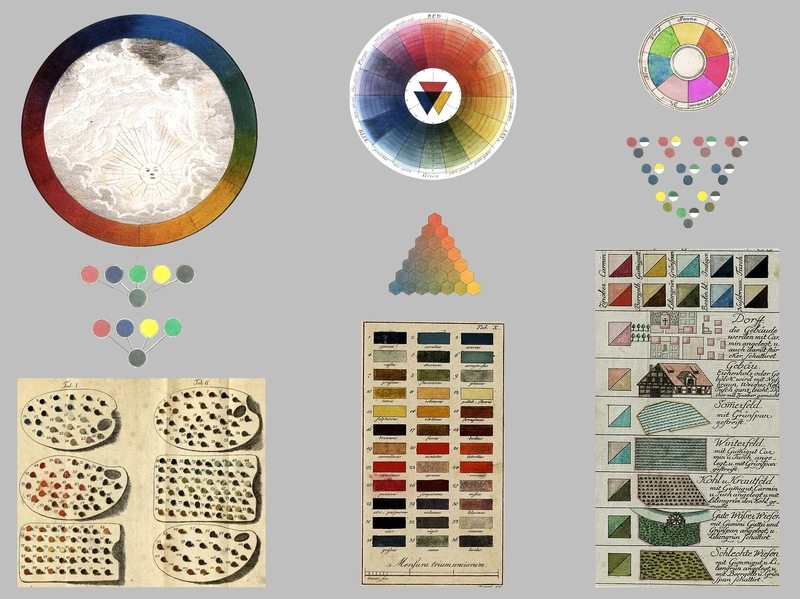 Especially the diversity of the concepts from painting, natural history, cameralistics as well as mathematics to systematize colour is quite interesting. These plates were mainly utilities to determine colours and contrasts, and to calculate colour mixture. They are reflecting the rising need in the 2nd half of 18th century Europe for a general system and an international nomenclature of colours.